Greening chemistry? Imagine teaching chemistry with the benefit of the planet and everyone living on it in mind. The American Chemical Society, whose motto is Chemistry for Life, has as its mission "to advance the broader chemistry enterprise and its practitioners for the benefit of Earth and its people." The education of chemists and all those interested in chemistry is an ever-evolving endeavor to keep up with the latest innovations, discoveries, concepts, perspectives and techniques of the field. One of the most exciting developments in recent years is the development of green chemistry — the design of chemical products and processes that reduce or eliminate the generation of toxic substances. The first time that chemistry meant anything more to me than concoctions in the kitchen sink or studying the periodic table in secondary school is etched in my memory. It's the image of a lab coat-clad man standing in a laboratory, railing against the findings of Rachel Carson in her controversial 1962 book Silent Spring. His vehemence was a clue to me that Carson's book had threatened his worldview. But his arguments also pointed to the ecological illiteracy that comes from reductionism — in this case, too much time spent experimenting in the chemistry lab and not enough time spent studying the impacts of the chemicals produced there. Silent Spring was a wake-up call for a world that had accepted chemical innovations (such as synthetic pesticides) without critical reflection on potential unintended consequences. Carson's book is often viewed as the start — the catalyzer — of the environmental movement, and is a must-read for any "green" chemistry teacher. Greening chemistry is relatively new. This branch of chemistry was conceived to help reduce or eliminate the sorts of hazardous substances Carson wrote about. Chemistry educator Dorothy Warren calls it "chemistry for the environment — a philosophy and way of thinking that can help chemists in research and production to develop more eco-friendly and efficient products and processes." Hopefully, all chemistry will transition to green chemistry one day. Our students' vested interest in a sustainable future certainly calls for it, and it has an important place in the chemistry classroom and curriculum. Indeed, some people believe that greening chemistry, making it more relevant to everyday living, can attract students to the field of chemistry who might never have seen themselves as potential chemists let alone scientists. Why green chemistry? There is no doubt that our lives have been enhanced by chemistry. That is something chemists and students need to celebrate. However, environmental problems such as DDT, ozone depletion, the Love Canal, Bhopal, and the Cuyahoga River are all too familiar examples of chemistry gone wrong. In responding to the growing concern, governments introduced regulations to limit pollution and exposure to hazardous chemical and materials. Green chemistry represents a fundamental shift from this model toward a pollution prevention paradigm. Its premise is that a benign process and product presents no risk. The textbook Green Chemistry: Theory and Practice, by Paul T. Anastas and John C. Warner, lists the following 12 principles of green chemistry (adapted). Pollution Prevention It is better to prevent waste than to treat or clean up waste after it has been created. Atom Economy Design should maximize the incorporation of all materials used in the process into the final product, minimizing unnecessary waste. Less Hazardous Chemical Syntheses Wherever practicable, processes and products should be designed with little or no toxicity to human health and the environment. Designing Safer Chemicals Chemical products should be designed to be safe yet functional. (eg, solvents, separation agents, etc.) should be made unnecessary wherever possible and innocuous when used. Design for Energy Efficiency Use the least energy possible in the process or product, to minimize environmental and economic impacts. If possible, synthetic methods should be conducted at ambient temperature and pressure. Use of Renewable Feedstocks A raw material or feedstock should be renewable rather than depleting whenever technically and economically practicable. Reduce Derivatives Unnecessary derivatization (use of blocking groups, protection/deprotection, temporary modification of physical/chemical processes) should be minimized or avoided if possible, because such steps require additional reagents and can generate waste. Catalysis Use renewable catalysts rather than toxic chemicals as catalysts. Design for Degradation Chemical products should be designed so that at the end of their function they biodegrade into innocuous degradation products and do not persist in the environment. Real-time Analysis for Pollution Prevention Analytical methodologies need to be further developed to allow for real-time, in-process monitoring and control prior to the formation of hazardous substances. Inherently Safer Chemistry for Accident Prevention Chemical substances and processes should be chosen to minimize the potential for chemical accidents, including releases, explosions, and fires. The following resources help with greening chemistry and integrating it with education for sustainable development (ESD). Beyond Benign is a nonprofit organization that provides open access to K-12 education materials as well as teacher, industry, and community training in sustainability and green chemistry. Green Chemistry Education: Changing the Course of Chemistry documents and discusses current pedagogical approaches to incorporating green chemistry throughout all facets and at all levels of chemistry education. Chemistry in the Community is an alternative grade 10-12 curriculum for students who are not planning to study chemistry at university, designed to enhance public understanding of chemistry. Integrating Global Environmental Chemistry into Secondary School Curricula, a chapter by Carole Stearns in the book The Science of Global Change, suggests environmentally relevant examples of global issues to use in greening chemistry teaching at the high school level. 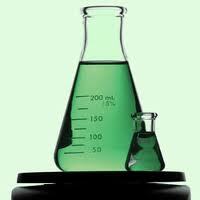 The United States Environmental Protection Agency (EPA) Green Chemistry website offers several links on the topic. National Chemistry Week (sponsored by the ACS in October) produces educational resources on a different theme each year, including this newsletter (see page 11), which is also available en español. The Warner Babcock Institute for Green Chemistry is a portal for several resources especially related to business and industry applications. The University of York's Green Chemistry Centre of Excellence includes an Introduction to Green Chemistry and an Education section that offers outreach activities for school students. Green Chemistry is a call to arms for the next generation of students to study the physical sciences. The philosophy of green chemistry puts a subject, which is generally considered abstract and difficult, into a familiar context relevant to the daily lives of students. The practice of green chemistry ensures a sustainable future with safer alternatives to chemical products and processes.... The message of green chemistry resonates with students and can inspire students to pursue the sciences.